CATCH THE BUZZ – USDA Supports Specialty Crop Industry with Multi-State Initiatives. 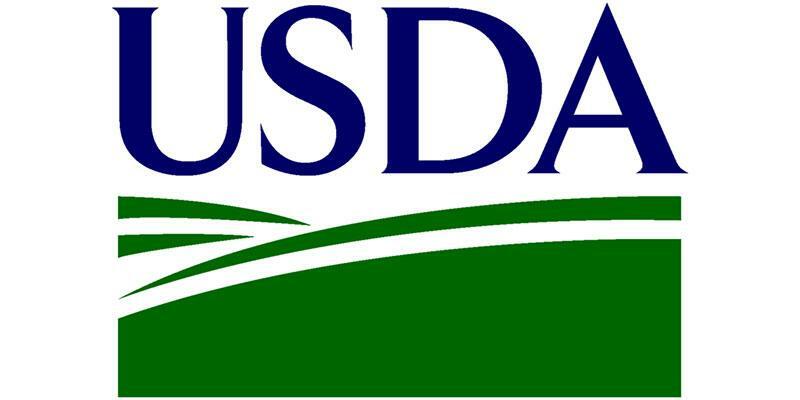 WASHINGTON, April 30, 2018 (USDA release) — The U.S. Department of Agriculture (USDA) on Monday announced the funding of $7 million to support 11 projects in six states to develop solutions to challenges affecting the specialty crop industries that cross state boundaries. The awards are managed through the Specialty Crop Multi-State Program (SCMP) administered by the Agricultural Marketing Service (AMS). SCMP strengthens food safety; seeks new ways to address plant pests, disease, and other crop-specific issues; and increases marketing opportunities for specialty crops — fruits, vegetables, tree nuts and dried fruits to horticulture and nursery crops, including floriculture. Funding is awarded competitively to state departments of agriculture that partner with stakeholder organizations in two or more states. The University of California’s Western Institute for Food Safety & Security and Oregon State University for a food safety project to support food safety and honey bee health through veterinary education. Awarded $483,278. The University of California and Oregon State University for a pest and plant health project to optimize phasmarhabditis nematodes for mitigating invasive gastropods in the western United States. Awarded $770,356. USDA’s Agricultural Research Service, Washington State University and the University of California-Davis for a pest and plant health project to better understand esca trunk disease in multiple grape-production systems. Awarded $348,991. Indiana State Department of Agriculture and Purdue University will partner on a project to diversify sod production with sustainable turfgrasses. Awarded $495,635. Nebraska Department of Agriculture will partner with the University of Wisconsin and the University of Nebraska on a pest and plant health project to improve aronia berry sustainability and fruit quality. Awarded $479,751. The Pennsylvania State University; collaborating with universities in Georgia, Maryland, Wisconsin, South Carolina, Mississippi, Missouri, New York, Ohio, North Carolina, Kentucky, West Virginia, Louisiana, and Florida; on a pest and plant health project to develop a regional approach to cucurbit downy mildew prevention monitoring and management. Awarded $806,739. The Pennsylvania State University, University of Maryland and the University of Florida on a pest and plant health project to develop a reliable, customized bio-control for fusarium wilt of the tomato. Awarded $770,360. The U.S. Sweet Potato Council, Inc., collaborating with sweet potato commissions and councils in Alabama, California, Louisiana, Mississippi and North Carolina on a project to increase the market for sweet potatoes. Awarded $250,000. Texas Department of Agriculture will partner with Texas A&M University and the University of California on a project to improve nitrogen use efficiency and food safety in spinach production. Awarded $743,878. The University of Wisconsin-Madison and the University of Minnesota on a project to expand North American hazelnut production through the hedgerow hazelnut system. Awarded: $777,203. The University of Wisconsin-Madison and Michigan State University on a pest and plant health project to optimize disease management and yield in potato via microbiome-based prediction. Awarded $999,599. This program helps industry stakeholders work together to tackle big agricultural challenges. Two examples from prior years include teams targeting Armillaria root rot and Listeria. Armillaria root rot threatens both forest and fruit tree crops, impacting farmers in many states. In 2016, the Pennsylvania Department of Agriculture in partnership with Clemson University, Michigan State University, University of Georgia and the University of Georgia Cooperative Extension used an SCMG to launch a project to evaluate potential solutions including an Above Ground Root Collar Excavation (AGRCE) planting system. So far in this multiyear project, they have demonstrated the system to South Carolina growers, established a test site at the Cumberland Valley Nursery to assess growth rate and sizing in Armillaria resistant rootstock, and tested in vitro Prunus spp. accessions to analyze their response to Armillaria mellea infection. Listeria is another challenge for farmers across the country. In 2016, the New York Department of Agriculture and Markets began using an SCMG to collaborate with Cornell University and Virginia Tech-Eastern Shore to develop, implement and evaluate a produce-specific Listeria monitoring and control programs to increase food safety in produce packing houses and processing facilities. Though still in its early stages, the partnership has already organized a cohort of private sector businesses and started testing to determine trends as a step toward developing more effective industry-wide best practices for controlling this disease. More information about this program and funded projects can be found on the SCMP page on the AMS website.